Can you “constructively resign” in Ontario? Only if you’re an injured worker. Recently, the WSIAT introduced into workers’ compensation law an employment-law concept—“constructive resignation”—that the courts have unequivocally stated is not applicable in Ontario. In this post, I critique the specific decision in which this occurred (Decision no. 340/15, 2015 ONWSIAT 1102 (CanLII))—and I comment on two general problems with the Tribunal’s decision-making process highlighted by the case. The worker’s employability is clearly affected by his/her work-related impairment/disability and associated clinical restrictions. The basic facts of the case in which WSIAT was supposed to apply this test were as follows. The worker was injured at the plant in 1996, and worked in a permanent modified job for nine years until 2005, when she suffered a second work accident. A dispute about the suitability of the modified work arose after the second accident and, apart from a single failed attempt, the worker did not return to work with the employer, and the WSIB terminated her LOE. Two years later, in 2007, the plant closed. An employee’s resignation cannot be “constructive”. For a resignation to be effective, the employee must unequivocally manifest an intention to resign. Put differently, an employer cannot avoid its onus of establishing just cause for dismissal by telling an employee that by behaving contrary to the employer’s direction the employee will be taken to have resigned (Palumbo v. Research Capital Corp., 2004 CanLII 21628 (ON CA), at para. 10, citations omitted). So where did the concept of “constructive resignation” in 340/15 come from, and what legal test does it require us to meet? Although the WSIAT must have raised the issue on its own motion—the employer did not participate in the appeal—its reasons help us with neither of these questions, as they contain no discussion of the concept at the level of general principle . Instead the decision provides only a brief discussion of the two types of evidence it relied on to make its finding in this particular case (340/15, at paras. 48-50). [The worker] often reported feeling unable to return to work at this time and said that she would not be pressured into returning until she felt she was ready. She stated that she was “afraid of returning to work” and expressed having difficulty coping with all of the events that have transpired over the course of her life. She said that she would only return to work on her own terms and would not need anyone from this clinic to assist her with that process [340/15, at para. 40, emphasis added]. These words, which should be considered in the context of a dispute in which the worker genuinely (albeit incorrectly) believed the work she was being offered was not suitable, do not “unequivocally manifest an intention” never to return to the accident employer in any capacity—there’s a suggestion that, at some point in the future, if things were to change to the worker’s liking, she would return to work. It’s not clear what standard of intent to resign is being applied by the WSIAT here, but it’s less strict than that required by the Court of Appeal. This is a disturbing conclusion, because it suggests the WSIAT lacks a basic understanding of the situation faced by the disabled workers who appear before it. In my experience, people claim CPP disability benefits out of financial necessity: it is usually the only source of income available, short of ODSP, during the years that workers wait for a hearing at the WSIAT; and they also need to do it to protect their CPP retirement benefits (as the months receiving CPP disability benefits are dropped out of the pension calculation). Thus claiming CPP disability benefits is properly understood as a common sense and necessary decision to cope with the financial consequences of disability, rather than an indication the claimant “had no intent to return to the workforce,” and it cannot reasonably be used to disentitle a worker from benefits under the WSIA. 340/15 also highlights two problems with the WSIAT’s decision-making process. The first is the WSIAT’s failure to follow the statutorily mandated review process when it decides, on its own motion, not to apply a policy that the WSIB has stated applies to an appeal. Notably, that review process that follows gives the parties to the appeal the right to make submissions (s. 126(7)), which was effectively denied to the worker in 340/15. I don’t want to be dogmatic about this—I’m not suggesting that in every decision the WSIAT must either cite and apply every policy in the WSIB’s policy package, or initiate the review process. But when, as in 340/15, the WSIAT expressly determines that a stated policy is not applicable to the appeal (para. 49), and as a result the worker is denied a benefit—in those circumstances, s. 126 does apply and the statutory review process must be followed. The second problem is the lack of fairness that results from the WSIAT deciding, on its own motion, to apply a novel legal concept in an appeal. I should begin by saying that I have no problem with the WSIAT considering novel legal arguments per se. And there’s nothing improper about the WSIAT considering legal principles that were not put forward by the parties: it has an inquisitorial mandate, and so shouldn’t be limited to considering the arguments advanced by the parties as it “make[s] its decision based on the merits and justice of a case” (WSIA, s. 124(1)). However, the WSIAT’s inquisitorial powers must be exercised in accordance with its duty of fairness. Before making a decision that relies on a novel legal concept—or for that matter, any substantial legal argument—that was not advanced by the parties, the WSIAT is obliged by its duty of fairness to give the parties notice that it is considering the issue and provide them with an opportunity to make submissions. In 340/15, the time for doing that was not during the hearing, when even the most experienced representative would have been taken by surprise. 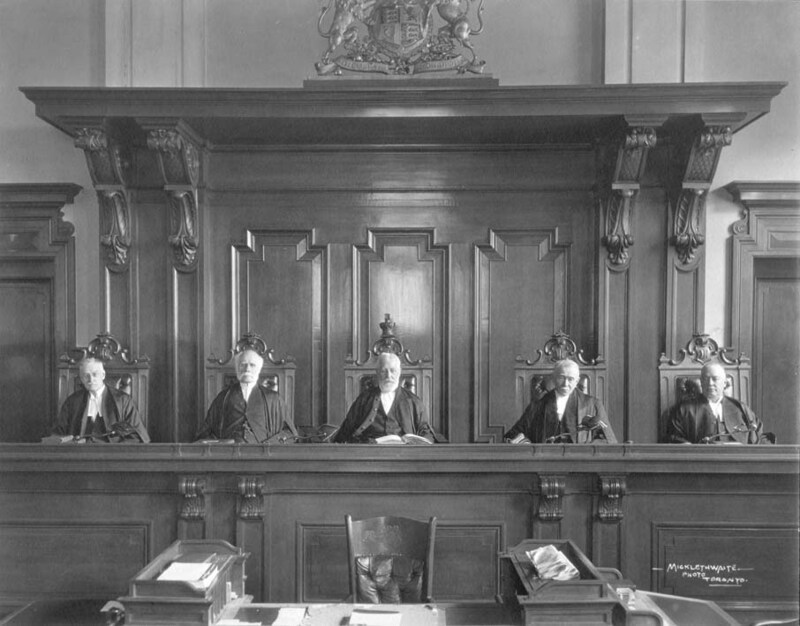 Rather, fairness required the worker be given the opportunity to make post-hearing submissions on “constructive resignation.” And the decision itself, surely, should provide an explanation of what the test for constructive resignation is, and why it can be applied in workers’ compensation appeals notwithstanding the clear statement by the Court of Appeal that it is not part of employment law in Ontario. This blog contains general information and should not be relied on as legal advice in an individual case. If you need advice about a WSIB claim or appeal, please visit the website of my law office, asingletonlaw.ca, and book a consultation. Constructive resignation is an established doctrine in the United States, where the Vice-Chair who decided 340/15, Sandra Shime, practiced law prior to working for the WSIAT. However, the legal test varies from state to state. In Wisconsin, for example, constructive resignation occurs when an employee “engages in conduct inconsistent with her continuing in her job” (Bean v. Wisconsin Bell, Inc., 366 F.3d 451, 455 (7th Cir. 2004)); in Ohio, it occurs when an employee either “fails to comply with the employer’s written request to take a certain action,” or “fails to report to work for a substantial period of time” (Hammon v. DHL Airways, Inc., 165 F.3d 441, 448 (6th Cir. 1999)). The worker taking this position does, I acknowledge, dis-entitle her from LOE benefits prior to the plant closing, on the basis that her wage loss was caused by her decision not to accept the suitable work, rather than her injury (assuming we accept the WSIAT’s finding that the work offered was indeed suitable). But that’s not the point here: the question is whether she resigned, and if so, whether than means that the work disruption policy does not apply to her case. What’s the purpose of the entitlement presumption? There isn’t one, if we fail to tell the WSIAT about it. The reward for paying down the WSIB’s unfunded liability? Permanent austerity, if you’re an injured worker.